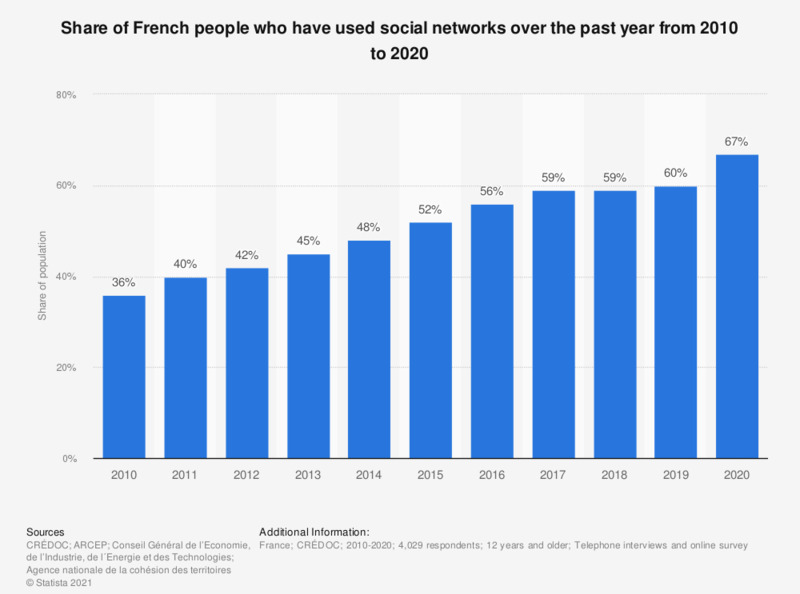 This statistic shows the percentage of French people who used social networks online over the past twelve months from 2010 to 2017. It reveals that in 2010, 36 percent of respondents had used a social media platform. Since 2015, more than 50 percent of French people declared they had used social networks during the past year. *The source adds the following information: "(de type Facebook, Myspace, LinkedIn, etc.)" **Figures for years 2010 to 2016 were previously published by the source.